Valué, cleanliness and courtesy of staff, in particular Antonio! Very nice friendly staff. Good location for centre of Luton. 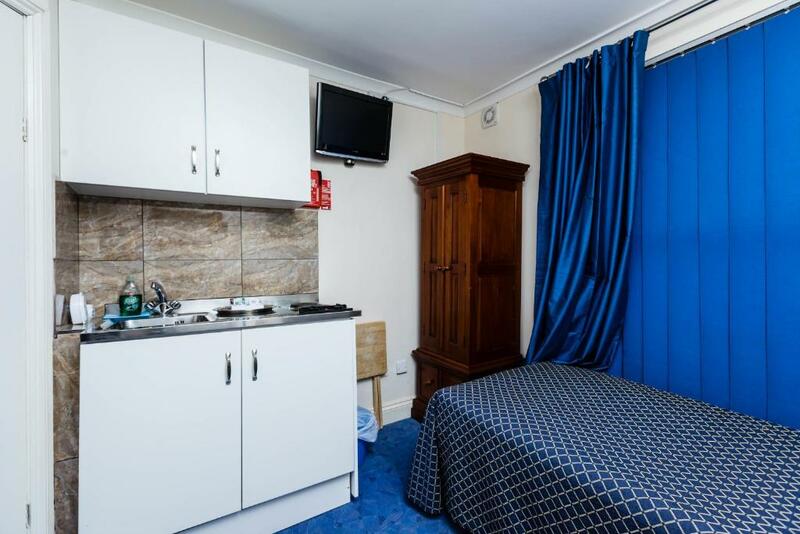 Room well equipped with sink, fridge, microwave, cooker and utensils. Bed comfy and clean. Clean bathroom with good shower. Very friendly staff. Comfortable bed with good facilities. Nice clean bathroom with good shower. Our ground floor rooms were cosy, simple and practical. We enjoyed our morning coffee with singing birds in a tiny and flowery common area. Staff (Antonio and cleaning lady) were very service oriented and accommodating. Minutes walk to the Luton Mall. I loved how helper he staff was and that my room had a fridge so I could keep my food cold. I arrived very late due to delayed flight, and that was not an issue. Also checkout was 11, so managed some rest. Staff was absolutely lovely and went above and beyond to help me. Room had everything I needed. Every facility well thought through, loved the integral kitchenette. Easy to find, friendly staff and a room that had everything a person needs for a short stay . 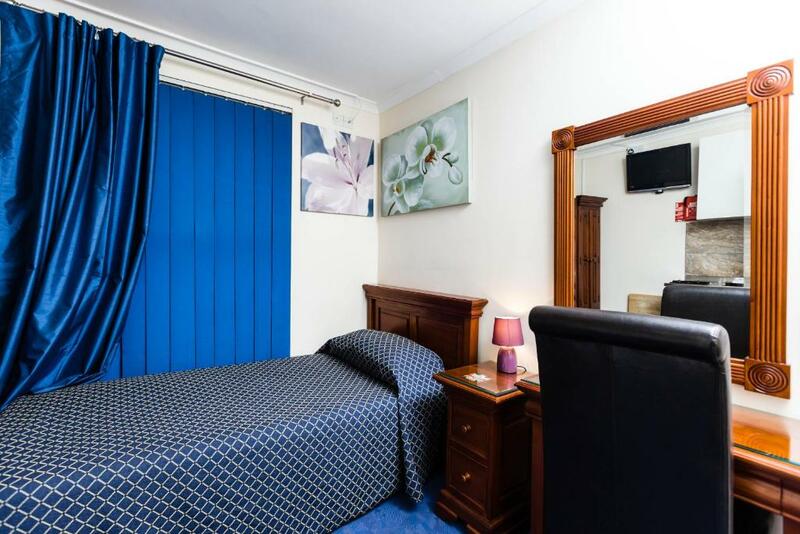 Luton Hotel Residence This rating is a reflection of how the property compares to the industry standard when it comes to price, facilities and services available. It's based on a self-evaluation by the property. Use this rating to help choose your stay! Located in Luton town center, the family-run Luton Hotel Residence offers a 24-hour front desk. Off Junction 10 of the M1 motorway, it is just 10 minutes' drive from Luton Airport and 10 minutes' walk from Luton Railway and Bus Station. Free Wi-Fi is available throughout the property. The room includes a well-equipped kitchenette, with a hob, kettle, fridge, toaster and microwave. Cutlery and crockery are provided and there is complimentary tea and coffee. The room also includes a flat-screen TV and an en-suite shower room with complimentary toiletries and a hairdryer. Ironing facilities are available upon request. The elegant Luton Hoo Spa & Estate is 2 miles away. Stockwood Golf Course and Discovery Center is less than 1 miles from the Luton Hotel Residence. The Mall Shopping Center & Galaxy Entertainment Center is within a short walk, along with various shops, a cinema, bars, and restaurants. The hotel can assist with organizing taxis. When would you like to stay at Luton Hotel Residence? This room features a stove, teakettle, fridge, toaster and a microwave. Cutlery and dishes are provided and there are tea and coffee-making facilities. The private bathroom with a shower has a hairdryer. Irons are available upon request. This room features a stove, teakettle, fridge, toaster and a microwave. Cutlery and dishes are provided and there are tea and coffee-making facilities. The private bathroom with a shower has a hairdryer, and some feature luxury body spray showers. Irons are available upon request. An independent small family establishment. Comfortable self-catering, fully ensuite shower rooms, all cooking utilities provided and outstanding service. Operated by the same family since 1999. Currently being upgraded and improved. Owned by the Anacreonte family but overseen by Mina, She is totally passionate and dedicated to the hospitality business and currently opening a new Hotel mid-2017 also in Luton. Also a mother of two, so when not working she is busy keeping her two girls happy. A short walk from the town centre, where there is the Shopping centre The Mall, The Galaxy entertainment centre, the train and coach station. The airport and motorway are a 5 minute drive. House Rules Luton Hotel Residence takes special requests – add in the next step! Luton Hotel Residence accepts these cards and reserves the right to temporarily hold an amount prior to arrival. The smell in room was horrible, couldn't wait to check out, had strong headache from it. Also mouldy bathroom, dirty room. There were people arguing at 4am in the morning, unsure, but it seemed like they could have been living permanently there. Was kept awake until 2am so i had to leave. The extraction was blowing air through and was terribly loud. Budget hotel. Ok sized room and facilties. Problem: really noisey, floors squeak like crazy, the stairs, corridors and room all squeak. You can hear people wherever they are you will not sleep if people have early flight above you, like we experienced. We had to change room. Lots of homeless people sleeping near by. People begging and noisy students. Perfect location in town centre. Very friendly staff. Good smoking area with easy access. No toilet paper, bulb not working, noise early in the morning. It was cheap and late check in possibility. Annexe property was basically a terraced house.Faculties very poor,sold as self catering no utensils only one mug ,no matching cutlery .no toilet paper or heating good job weather mild.TV control broken ,fan heater broken squealing noise so unable to put in light in bathroom as so loud when using toolset or shower. No apology from staff or offer of reduction A much larger hotel up the toad from this place offers rooms £7 more a night and the facilities are superb in comparison a complete rip off .. Nothing ..I have stayed at this hotel previously always in the main block.On arrival I was informed they had over booked and I was staying at an annexe 6/7 minute walk away . Dissapointing, mattress too soft, no duvet only blanket provided, horrible smell of damp in the bathroom so did not use, toilet not fitted to floor properly, was moving. Screepy noisy floors in common parts and room. The room could have had an extra cleaning to look perfect. Internet was a bit slow and often it did not even work. Simplicity and less space made me reminded me of my need of that room for that particular room - to take rest and leave the rest. The staff was really nice and polite. Because it is near an airport and there is a busy road on the side of the building that houses the single rooms, there is a fair amount of noise which I am not used to since I live in a very quiet area at home.